Nestled among the Colorado pine trees, scrub oak and rolling hills lies the City of Castle Pines North, just 30 minutes south of Downtown Denver and 10 minutes north of the Town of Castle Rock. Incorporating in February 2008, the City of Castle Pines North is the newest municipality in Douglas County. Interstate 25 provides convenient access to metro Denver, including the Denver Tech Center, a major employment center in the south metro area. The City of Castle Pines North boasts approximately 10,000 residents with several small business, two grocery stores and quaint bistro restaurants. Renowned Douglas County School District services the school age children of Castle Pines North, including Buffalo Ridge Elementary, Timber Trail Elementary and Montessori Charter School within the city limits. Outdoor enthusiasts enjoy the adjoining Daniels Park with over 1,000 acres of wilderness to explore. Castle Pines North appeals to many families and adults with local parks, open spaces, hiking trails, golf courses and its many annual festivities. Year around residents enjoy activities and events for all ages. Over the years, Castle Pines North community has been the host to many fun neighborhood events including Easter Egg Hunt with a special guest...the Easter Bunny, “Movie in the Park” or the Summer Concert Series all are the perfect way to enjoy the beautiful Colorado summers. Remember to bring your blankets, lawnchairs and popcorn along with your friends and family to these fun events. If you prefer more of an adult activity, you will love the “Wines of the Pines” events. They offer tastings of Italian, South American wines, etc...hosted at unique and intimate Castle Pines locations. Families and adults living in Castle Pines North love to gather together on the 4th of July to celebrate America's independence through picnicking and watching fireworks. 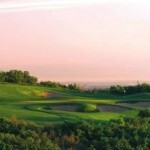 The Ridge at Castle Pines North is a beautiful public golf course intertwining through much of Castle Pines. There is always something new and exciting to try. Visit the Castle Pines Connection to learn more. 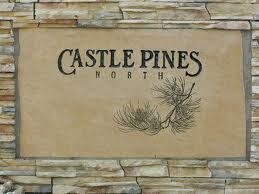 Castle Pines North consists of several sub-developments built by some of the best regional and national builders. There are great housing choices for everyone including: townhomes, attached patio homes, low maintenance patio homes, single family homes and luxury homes with golf course views. The unique setting of Castle Pines North makes it a popular choice for those looking for a home in the south Metro Denver. Click to see homes for sale in Castle Pines North.